This adorable quilt is fit for a Princess, with its soft pastel hand-pieced patchwork of princess crowns, a royal castle, and accented with flowers and stars. A scalloped border adds a finishing touch to this soft pink, lavender and white embroidered quilt. 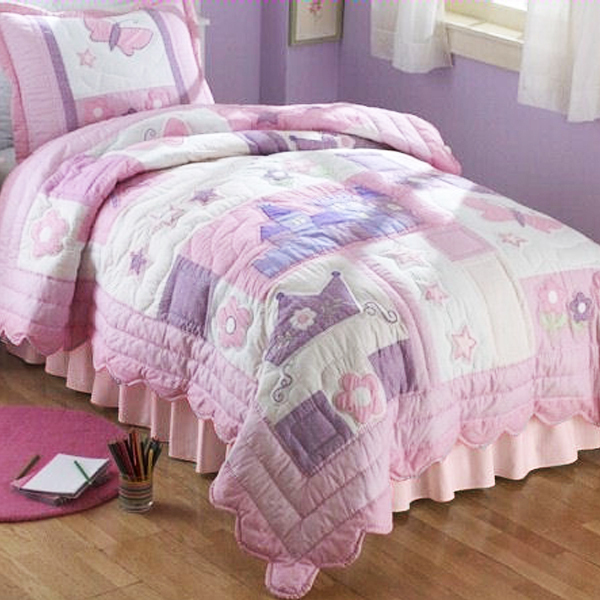 Perfect for your little princess, her room will be her castle with this beautiful handcrafted quilt. Reverses to a solid white. Quilt only - shams no longer available.